What is The Bully Book? Part mystery, part tragedy, part comedy. Originally self-published as an ebook by a member of Team Starkid, The Bully Book is now available in hardcover, paperback, and ebook editions. 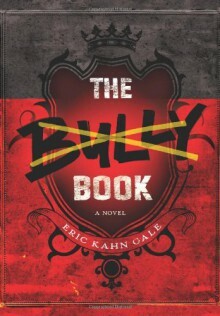 The paperback includes a Q&A with the author.Eric Haskins, the new sixth-grade bully target, is searching for answers. And unlike many of us who experienced something awful growing up, he finds them. Though they may not be what he expected.When the author was eleven, he was bullied. This book is loosely based on incidents that happened to him in sixth grade.The Bully Book is a Top Ten Indie Next List pick of 2013, and Publishers Weekly called The Bully Book a "gripping debut novel." Didn't love the ending. I understand it but don't really agree with it. But overall a really good book!